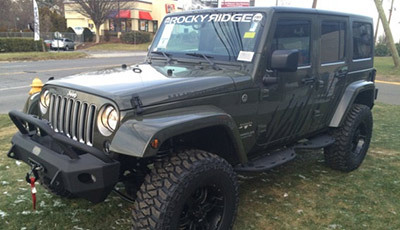 We are a certified Rocky Ridge Custom Jeep dealer! 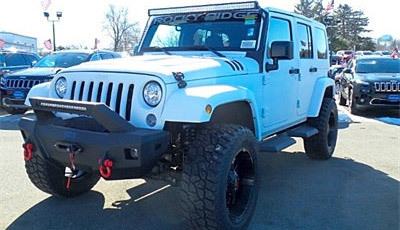 In the world of off-roading, Rocky Ridge Jeep Brand SUVs a place of high esteem…and a high altitude to boot. 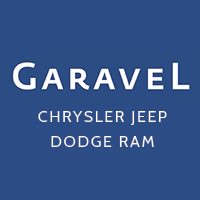 Seriously, if you’re looking to take on the toughest terrain, climb steep trails, and generally go where other SUVs fear to tread, you’ll want to be behind the wheel of one of our Rocky Ridge Jeep Brand SUVs here at Garavel CJDR. 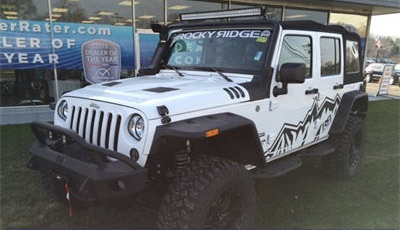 These custom Jeep Wranglerand Jeep Wrangler Unlimited models represent the pinnacle of rugged capability, and once you’ve stepped up into the driver’s seat of one of these lifted Jeep Brand SUVs, you’ll quickly see why so many off-road enthusiasts choose Rocky Ridge Jeep Brand SUVs year after year. 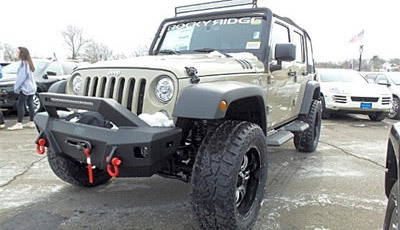 For those who love the freedom to take their SUVs on muddy trails, uneven terrain, and rocky slopes, our Rocky Ridge Jeep Brand SUVs will prove the perfect fit. 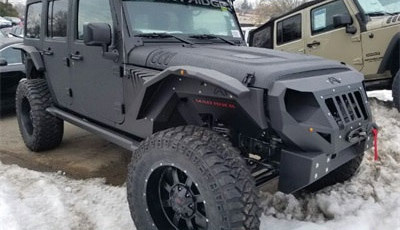 These lifted Jeep Wrangler and Jeep Wrangler Unlimited models feature unique raised suspension systems, underbody skid plates, and a whole host of other rugged gear, providing their drivers with practically unparalleled suspension articulation and the capability to go anywhere. 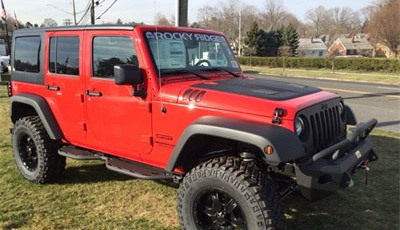 Best of all, since Rocky Ridge Jeep Brand SUVs are modified Jeep Wranglers and Jeep Wrangler Unlimited models, they offer a practically unparalleled degree of custom features to suit the tastes of any off-road driver here in Connecticut. 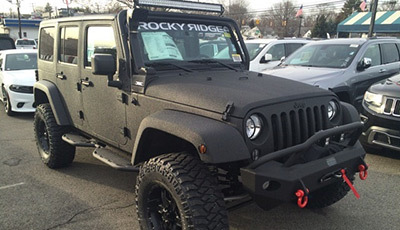 So, if you’d like to enjoy unbridled off-road capability and take on the best that nature has to offer here in Connecticut, you practically owe it to yourself to check out our Rocky Ridge Jeep Brand SUVS here at Garavel CJDR. 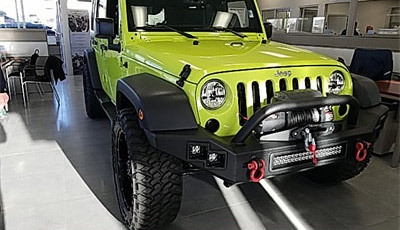 With our competitive offers on custom Jeep Brand SUV financing, there’s no doubt that we can help you get behind the wheel of a custom Jeep Wrangler or lifted Jeep Wrangler Unlimited of your choosing at a competitive price point. 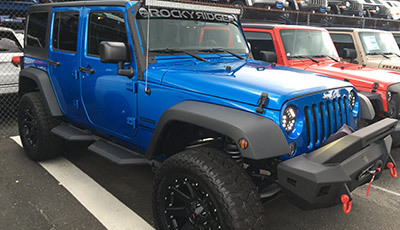 Stop in to our Norwalk, CT Jeep Brand dealership today to explore our inventory and speak with our friendly, knowledgeable sales associates about the opportunities for adventure a Rocky Ridge Jeep Brand SUV can afford you today!